Dr Supanee Potisopon, Research scientist at Protein and Expression System Engineering Unit at BIOASTER, will be attending PEGS Europe congress, in Lisbon next week. 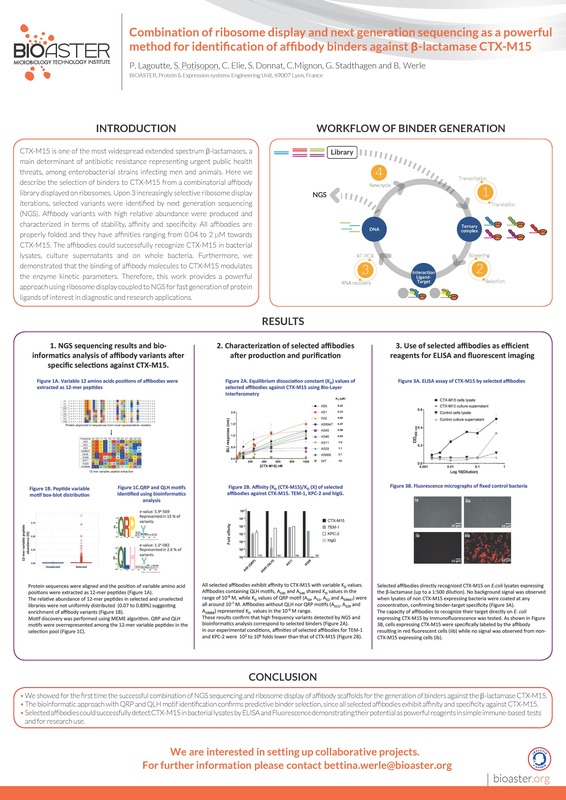 She will present the results of the BIOASTER’s de novoligand generation platform “Combination of ribosome display and next generation sequencing as a powerful method for identification of affibody binders against β-lactamase CTX-M15”. Do not hesitate to contact us to learn more about this artificial ligand generation platform (supanee.potisopon@bioaster.org). < Previous postAccelerate VACCINE European research: BIOASTER reinforces its participation to TRANSVAC2 European Project.